Mezzosopranistka Edita Garčević Koželj je učiteljica petja na Konservatoriju za glasbo in balet Ljubljana, asistentka pri predmetu petje in predavateljica vokalne tehnike na Akademiji za glasbo v Ljubljani ter dolgoletna predsednica Društva slovenskih pevskih pedagogov. Že v času študija je sodelovala z različnimi gledališči in ustanovami na Dunaju, upodabljajoč različne operne vloge (Wiener Taschenoper, Schönbrunn Theater, Theresianum Theater, Junges Theater Österreich). Kot koncertna pevka se predstavlja s širokim repertoarjem od sakralnih del do samospeva. Kot korepetitor bo na tečaju sodeloval pianist Igor Vićentič. 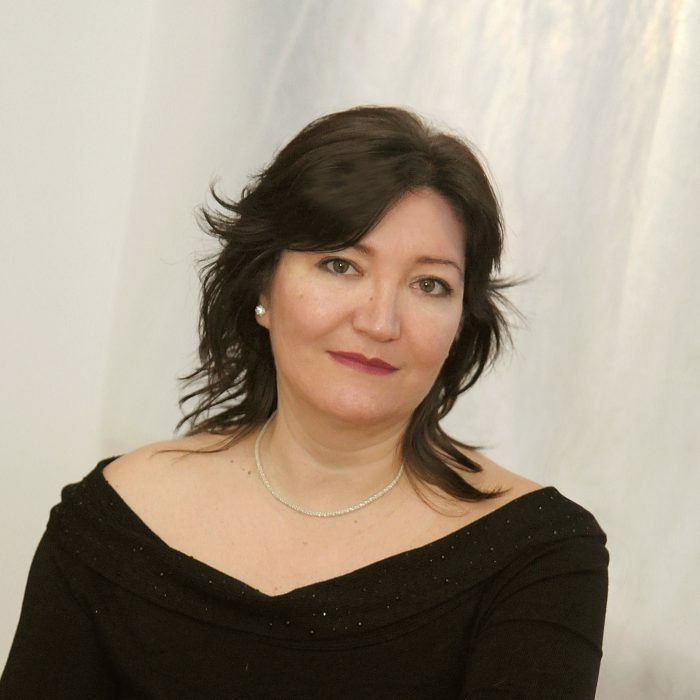 Mezzo-soprano Edita Garčević Koželj is concert and opera singer, music councellor for vocal pedagogy, singing teacher at the Conservatory of Music and Ballet Ljubljana, Assistant (vocal technique and singing) at the Academy of Music, former president of the Association of Slovenian singing pedagogues (DSPP). During her studies she cooperates with various theaters and institutions in Vienna (Wiener Taschen Oper, Oesterreichische Junges the Opera Theater, Theresianum, Schoenbrunn Theater, …), providing a variety of roles in operas. She performed a number of vocal and instrumental works with most of eminent slovenian symphony and chamber orchestras, held concerts and recitals in almost all major cities of the former Yugoslavia, as well as abroad (Germany, Italy, Spain, USA,…). Throughout the workshop, the participants will be accompanied by pianist Igor Vićentič.